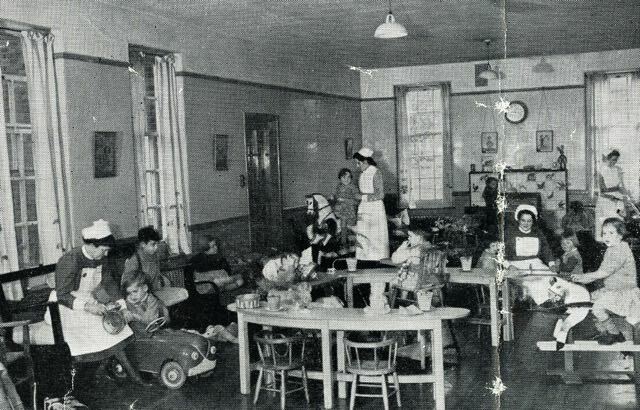 Treatments had been developing since Hill End had opened, but there came a time when the huge buildings were no longer adaptable for small groups of patients in a more friendly environment. That's where Cell Barnes Colony enters the story. The spacious layout of the hospital estate designed in a neo-Georgian architectural style. Little Cell Barnes Farm, the buildings of which remain at the junction of Hill End Lane and Cell Barnes Lane, have a similar relationship with Great Cell Barnes House on the opposite side of the road, as Little Nast Hyde Farm has with Great Nast Hyde House on opposite sides of Wilkins Green Lane. Little Cell Barnes had an acreage of 50, mainly arable, so small even by Victorian comparisons. Owned by Earl Verulam it became a poultry farm and was finally built over to create part of the London Road estate in the 1950s and 60s. There are many people who remember it as a poultry enterprise however. On the eastern side of Hill End Lane is a grander building known as Cell Barnes, or Great Cell Barnes. Much younger, it was a gentlemen's country house with land attached. Encroached upon by the bypass between Colney Heath and London Colney, and later the re-alignment of London Road in the vicinity of the cemetery, it was also used as a circus field. Great Cell Barnes land almost became the site of a Co-operative Wholesale Society garden factory for the manufacture of biscuits in the 1930s. The city council dithered and the CWS biscuit garden factory set up elsewhere. The large Hill End asylum had been built and opened in stages from 1899. Already by 1910, advances in the care of mental patients were being made, and it was recognised that the design of the asylum was unsuited to some of these. 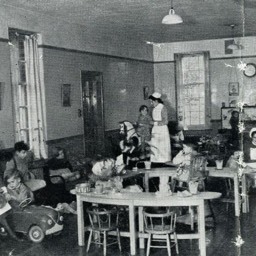 The hospital committee planned to establish what it called a colony, separate from the main hospital, for mentally deficient patients who have milder forms of mental conditions and who can be trained to undertake occupational therapies and tasks in preparation for a more normal independent life. However, the First World War intervened and it was in the late twenties before funding again became available for the proposed colony. 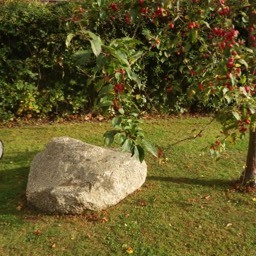 There had been a re-organisation at Hill End – including the change of name from Asylum to Hospital. New treatments were being developed; the county's population was increasing markedly; and the number of patients it was anticipated the combined buildings were expected to accommodate also increased. Nottingham- born Mr Hallam Carter Pegg was the architect appointed to create the colony, but with his death in 1929 his work was taken over by the partnership of J M Sheppard. 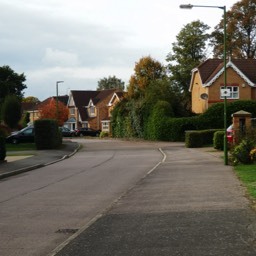 Compared with Hill End we discover an informality in the layout. Buildings were not lined up formally in perpendicular ranks. Instead, the units were deliberately created to be on a more homely scale and set out informally along the laid-out paths and drives. The construction phase took an impressively short two years, and although the official opening was in October 1933, the first patients were moving in from that Spring. Unlike Hill End when that was new, the County Council did not opt for a phased construction to match the availability of patients. Initially, the accommodation consisted of three buildings on each side of the central drive, so three for men and three for women; and one each for girls and boys. A two-ward hospital included an out-patients and minor medical and surgical unit. The hospital was self-contained, with its own dispensary and laboratory. When St Bartholomew's returned to London it left behind a fully-equipped surgical theatre, which continued to be used. Workshops and maintenance buildings were clustered with comprehensive service facilities. It should be mentioned that Great Cell Barnes House, also acquired when the site was purchased, was suitably converted as accommodation for nurses. In order to provide sufficient space the old house was extended. 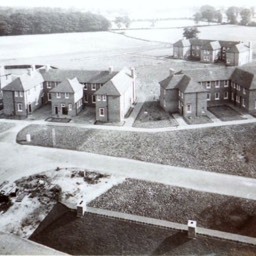 Other staff residences were part of the colony estate, and a number of homes were built at the same time along Hill End Lane and Camp Road east; they are still referred to as the "hospital houses" or "Beastneys houses", because the were constructed close to, or replaced, the old Beastneys Farm homestead. 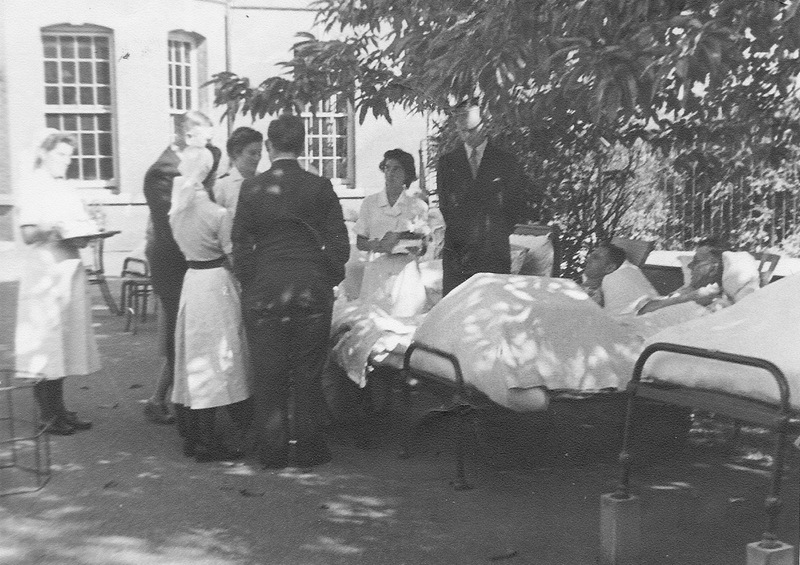 As with Hill End, life was interrupted during and after World War Two, with the occupation of both hospitals by St Bartholomew's Teaching Hospital under the Emergency Medical Scheme. A medical team was collectively responsible for all aspects of patients' welfare; their physical and mental health. So there were general doctors, psychologists, nurses, occupational therapists and visiting specialists in chest diseases, general surgery, physical medicine, ENT, ophthalmology and dentistry. Art, dancing, swimming and physical training weren't just leisure activities, but key therapies which assisted in the overall health of the patients – as they are with all of us. The psychology department assessed the mental capacity of patients and their progress, and explored the emotional issues involved in their welfare. Therapies and counselling enabled many patients to become more confidently involved with their own treatments. 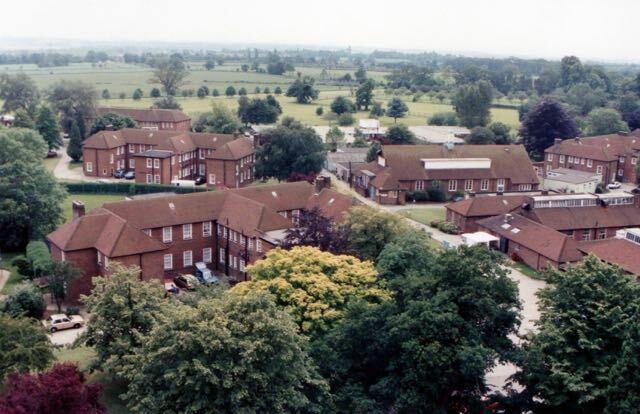 There were links with the College of Further Education in the provision of evening classes in a range of activities and skills, not all of which took place within Cell Barnes. The nurses, of course, played a key role; having the closest relationship with the patients in the wards and the wider hospital environment. The Department of Environmental Therapy assisted patients with communication and relationship difficulties. promoting a flexible range of activities. For those working towards rehabilitation there was a programme of social and self-care activities which would ultimately help them to manage their own lives. Out-patients and day patients were included in the facilities provided in a centre for patients with either physical or mental needs. This included a hydrotherapy pool. Much fundraising had taken place over time to provide these facilities. In fact, Cell Barnes never did stand still, of course. New treatments and therapies, new approaches to care, enabled the hospital to evolve, and involve an increasing number of other organisations in its overall remit. But there were many patients who continued to rely on their caring staff for almost all of their needs, physical and emotional. The school, for example, was the responsibility of the county education committee. The teaching staff worked closely with the hospital staff of other departments. 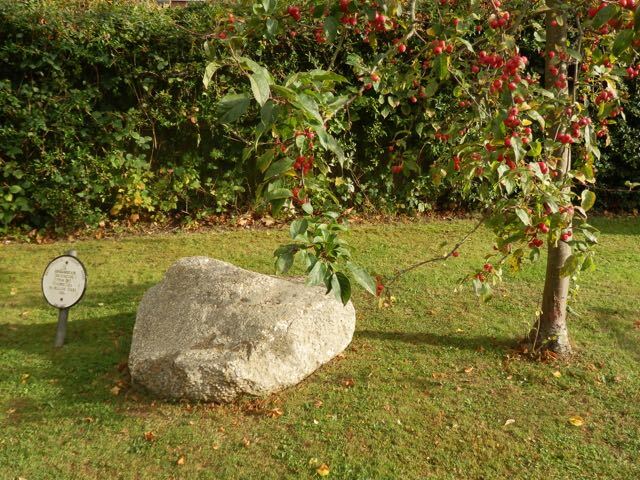 As with any other school much external learning in the locality was undertaken. 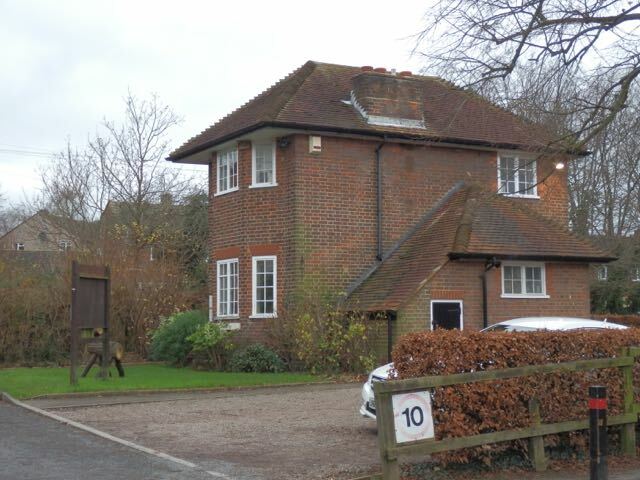 There were four classrooms and a nursery, plus the usual staff facilities; not dissimilar to any other small school, but with the benefit of a wide range of other resources, including the pool, in other parts of the estate. 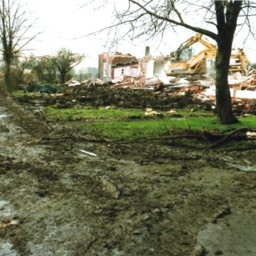 The building is no longer there but was located behind the car park next to West Lodge. The hospital discovered that, after the war it needed to look after more patients than in 1939. 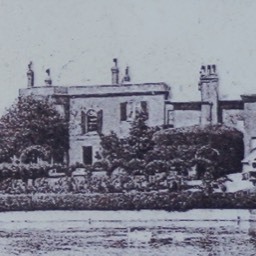 A number of large buildings were available after their temporary wartime occupations, and the county took over the homestead of Lye Farm, later renamed Lye House, and then Tenterden House in Lye Lane, Bricket Wood. 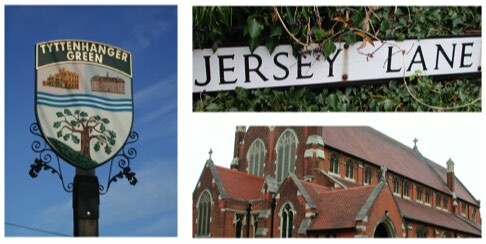 Today, Tenterden is a care home within the sound of traffic from the A414 bypass and close to the Noke Hotel. 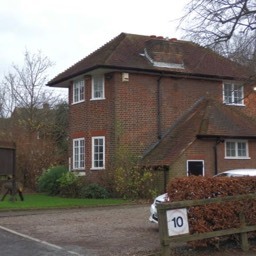 The hospital located a unit for fifty older girls at Tenterden, and the unit continued in use through to the final closure of Cell Barnes. It is not widely known that Cell Barnes had a representative group of St Albans Scouts and St Albans Guides. Both groups, 12th SA Scouts and 15th SA Guides, were begun at the colony's inception and met initially at the Recreation Hall; later at the Scout Hut on the south-east of the site. 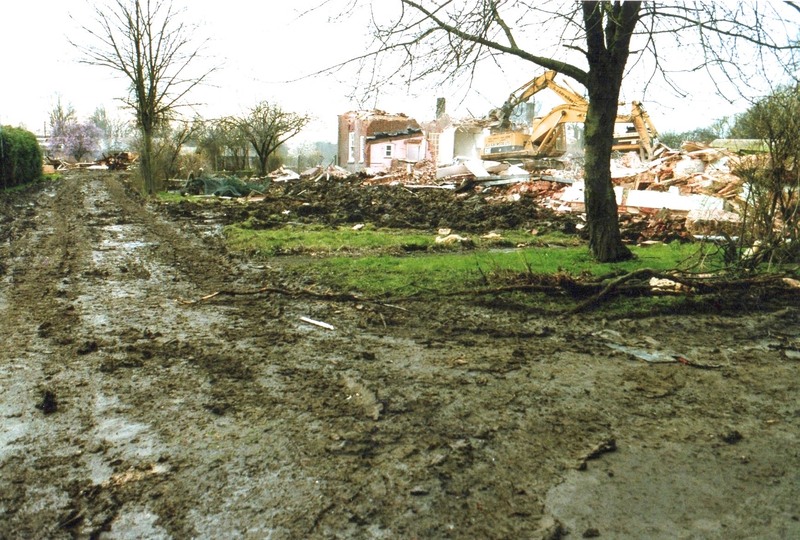 The hospital was finally closed in 1998 and most buildings demolished. 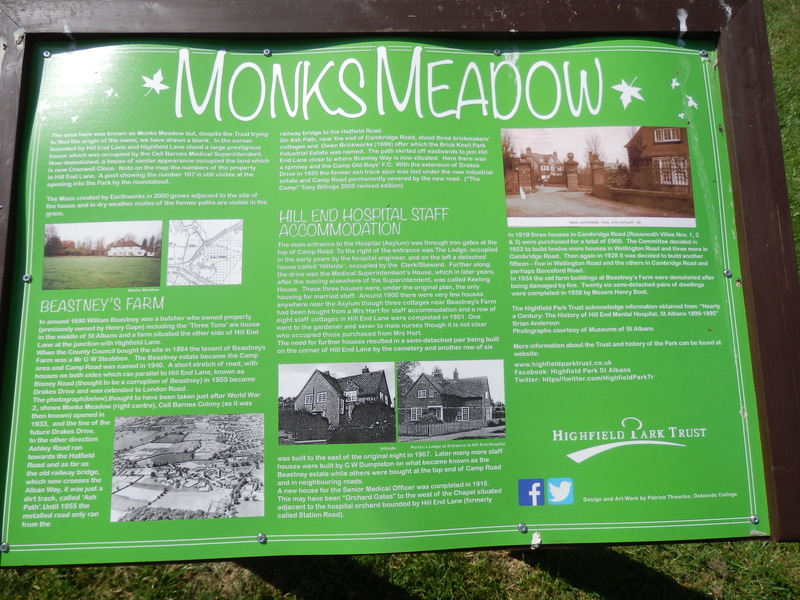 Today, the parkland across both hospital sites is managed by Highfield Park Trust. 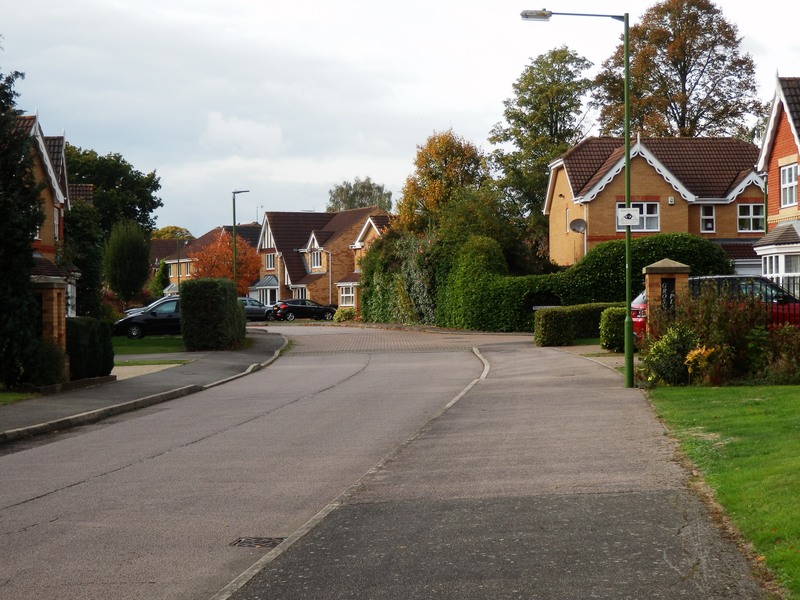 A new road, Highfield Park Drive, has been laid between London Road and Highfield Lane, and a new residential district created on the site of the former hospitals' buildings. 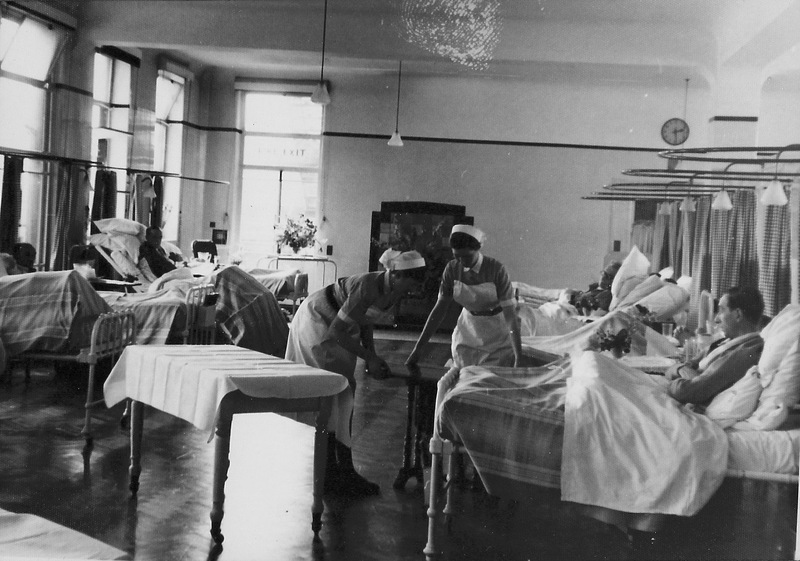 Ward duties at Hill End during the 1950s. Fresh air for patients in the late 1940s. 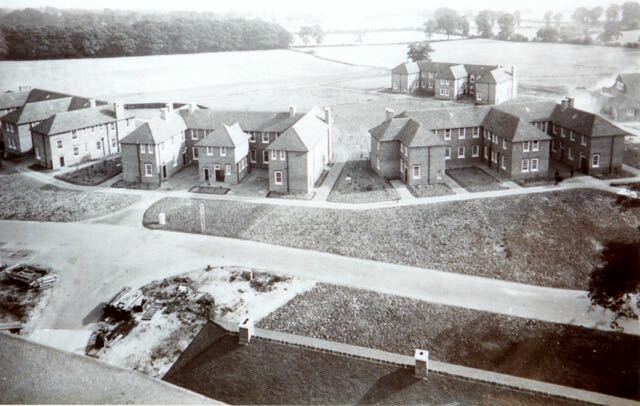 The Trust was formed to manage the grounds which surrounded Hill End and Cell Barnes hospitals once those sites had been redeveloped. 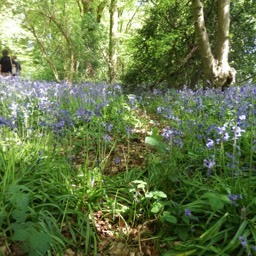 It is a mixed estate of fields, woodland, orchards and garden landscapes, all open to the public as a Park. 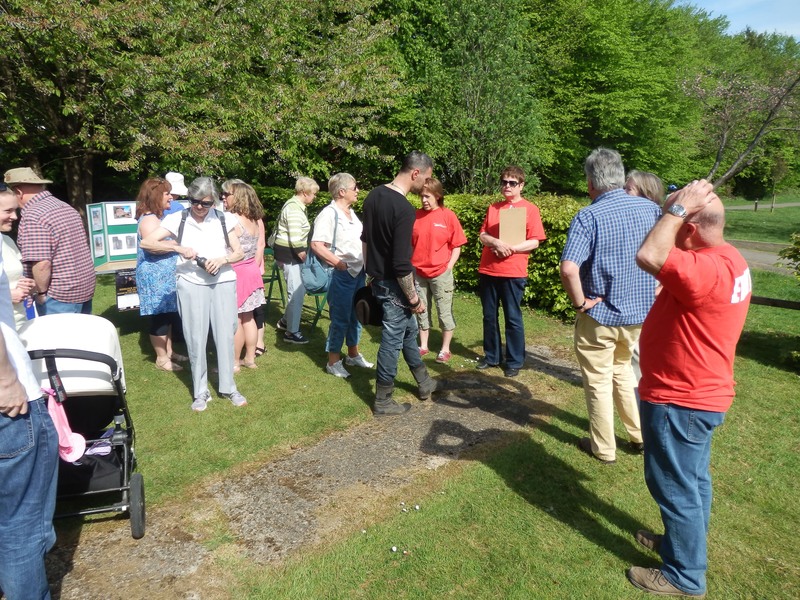 Regular tours take place, and fund-raising events are organised throughout the year. The headquarters of the Trust until recently has been West Lodge, but it has recently moved into a new building nearby. 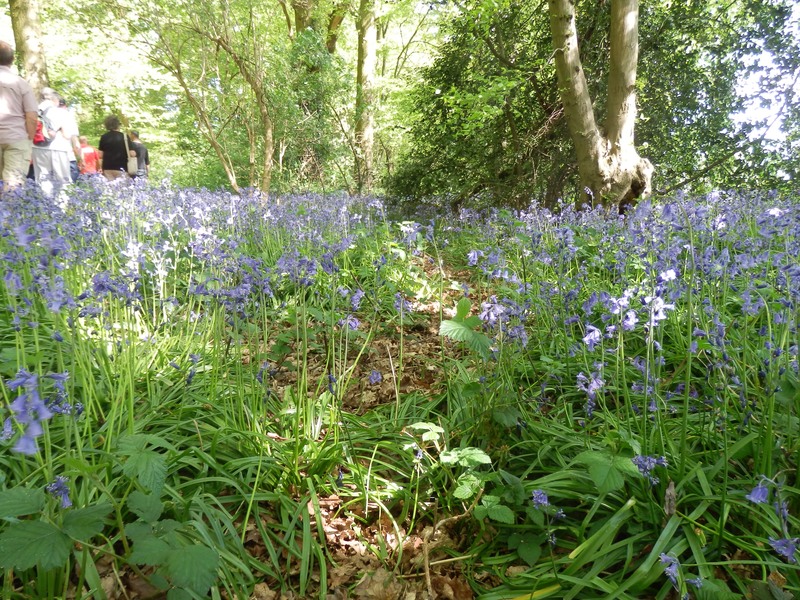 The Highfield Park Trust website is here. My speciality was working with people with learning difficulties. Once [the work] grabs you, it is difficult to walk away. Former member of Cell Barnes staff.